How did Jimmy Wales get the world to help him write an encyclopedia? And what could YOU learn from his experiences to help you build a business that leaves a legacy? I invited Jimmy to Mixergy and I asked him to talk about the business side of his non-profit, Wikipedia. He told us how the idea for Wikipedia evolved, how he got people to contribute to it, why people promoted the site, and more. My goal was to help you learn how to build a startup that leaves a legacy, from the man whose work changed the world. Jimmy Wales is the founder of Wikipedia, the free, non-profit encyclopedia that anyone can edit. He is also the co-founder of Wikia, a community destination supporting the creation and development of wiki communities on any topic people are passionate about. You can connect with him on Twitter, Facebook, LinkedIn and his blog. Andrew: Hey, everyone. It’s Andrew Warner, founder of Mixergy.com, home of the ambitious upstart. If you want to learn how to build a business that leaves a legacy, that really changes the world, this is the program for you. Jimmy Wales, the founder of Wikipedia, came to Mixergy. Of course, Wikipedia is the encyclopedia that anyone can contribute to, the encyclopedia that has changed education forever. Jimmy Wales, the founder, came here to Mixergy to talk about how he built up the business and what you can learn from his experience. In this program, you’re going to hear Jimmy talk about how he got people to add their knowledge, to contribute their information to Wikipedia in the early days and what you can learn from that if you’re building a movement in its infancy. How do you get people to care about something before it’s really something? That’s what you’re going to learn here. You’re also going to find out why people contribute their information, their time for free to Wikipedia. Jimmy gives a great answer to that question when I ask him and it’s something that you need to know if you want people to participate in your community, in your business. I’m giving you just a quick summary of what we talked about. We also talked about why people promoted Wikipedia. What is it about Wikipedia that got them to tell their friends about it? Remember, Wikipedia wasn’t spending tons of money on advertising. They didn’t have billboards everywhere, but they did get incredible word of mouth. Why, and as always more importantly, what can you learn from that if you want your users to spread the word about your business? Couple of notes. First of all, this is an audio-only interview. Jimmy and I got together on the phone and recorded this for you. The second thing is, we start of by talking about Nupedia, the precursor, the business that he built before Wikipedia that eventually gave birth to Wikipedia. All right. Here’s Jimmy Wales. Andrew: What was your vision for Nupedia? Jimmy: The original concept of Nupedia was to create a free encyclopedia written by volunteers, people from all over the internet, so the same vision. But we didn’t have an understanding of the social model needed to create Wikipedia. Basically, it was a very top-down system, seven stage review process, people had to submit their proposal for what they were going to write and so on and so forth. As a result, it was a very slow and very not much fun system for people. It failed because it didn’t really meet the needs of the people who wanted to help the project. People were inspired by the vision, but yeah. Andrew: OK. At the time, there were lots of different encyclopedias. There was Britannica, Microsoft had one, World Book was still there. What were you looking to do that was different from what was already there? Jimmy: Well, the main thing that I was looking at was the growth of the free software movement. I was seeing how communities of programmers were coming together online to create software. It wasn’t really so much about the wanting the end result to be different. Well, obviously the end result is quite different, but more about realizing that there was a new model for collaboration going on online and that there would be a lot of cool stuff that should go along with that. Andrew: What was the business model intended to be for Nupedia? Jimmy: I didn’t really have a very clear plan for that. It was really a project. It’s something that I just thought needed to be done and so I figured we’d figure that out later. We considered advertising, membership, we thought of a lot of things, but didn’t have a clear plan. Andrew: I was going to say was that I’m hearing a lot of people who tell me that they just started an idea and it ended up becoming a great business. Why do you think that happens so much online, especially with people like you who are real businessmen? It’s not like you’re a 16 year old kid who’s building a business. Jimmy: I think it’s really just that the best businesses are not cooked up by MBAs with reams of data and business plans. That’s never been true. The best businesses are meeting the needs of a customer in an innovative way. That’s really more about about seeing an opportunity and an idea and knowing that it needs to be done. That’s what I think really makes something work. Andrew: An opportunity to create some special project, not necessarily an opportunity to create a business that meets a market need. Am I understanding you right? Jimmy: Say the question one more time, the phone kind of made it [??]. Andrew: The old way of doing business was, you see if there’s a need in the market and you do some analysis to make sure the market’s big enough. You’re saying now the need, at least for you, was, well, there’s this product that could be put out in the market. Jimmy: What I’m saying is that the first way has never been the right way in business. The second way is really the cornerstone of just about every major brand that we know of. Obviously there are exceptions where that corporate mentality has worked out okay. But generally it’s about somebody with passion for a concept, executing on the concept and hoping that the business works out in the end. Andrew: You’re saying that goes back in history to Ford. Jimmy: Absolutely, yes. Edison is a great example. Andrew: And it continues through to today with Yahoo, with Google and all of the others who were started by people who were passionate about a project not who saw market need necessarily. Jimmy: Exactly. And there’s nothing wrong with thinking about the market need and so forth. I’m just saying I don’t think that should ever be the primary. Because if it is the primary you end up with a very tedious uninspiring business that tends to not go anywhere. Andrew: I read that it was 18 months that you were building Newpedia and you weren’t getting enough submissions. Can you talk about what those 18 months were like? Jimmy: A lot of the time was spent looking and re-looking at the software and at the pools. There was a large community that we brought together who spent a lot of time talking about what it means to build an encyclopedia, what should be in it, what it should be like. What kind of technology should we use? So in a sense although I say that Newpedia failed, but in another sense it obviously didn’t fail. It was a group of people who got together and for two years we talked how to make an encyclopedia before we actually managed to get started. Andrew: How did you have those conversations? Were they all online? Andrew: It was all emails going back and forth talking about what the vision could be? Andrew: Did you go through any personal self doubt during those 18 months or doubt about the project? Jimmy: As it became more and more obvious that it was failing and then as we could see that this is much too slow and this isn’t going to work, there was a lot of doubt about whether we should just cancel the project. What was going wrong and those kinds of things. Andrew: Why did you ultimately decide to keep going where others might have said after six months that this is it? Jimmy: I would say that it ultimately was because I was incredibly passionate about the concept, this idea that we could create a free encyclopedia for everybody as a humanitarian goal and as a concept of the meaning and purpose of what the internet is for really ceased hold of me. I just decided to make it my life’s work in one way or another. So there was doubt but never any serious question of quitting. It was just a question of what do we change to make this happen? Andrew: What kind of changes did you make? Jimmy: Before? There was not much because we had such a rigid system it was really hard to change anything. We didn’t have a lot of developers and so forth. The only possible change rather than tweaking the system which we really didn’t know how to do was to just overthrow the whole thing and install the Wiki software and go in a much more simple way. Andrew: What I read is that almost immediately people came on and started contributing. But for me as an entrepreneur I want to learn from this. And if I want to build my own community it’s not enough for me to say that if I build the community people will come in. I want to ask you to put more meat on that if you could. Could you help us understand why those people came? How they even knew about your site? How you got so many submissions in the early days? Jimmy: Sure. So I think the biggest driver was because we came out of the open source software movement we really had a bit of a following from the beginning from free software programmers and so forth and a whole community of activists in that area. So we got a lot of early press coverage from Slashdot, for example, which filled a lot of (?) and got a lot of people excited and interested about the concept. So that was really the first thing. Beyond that it really just grew by word of mouth. Especially once we got Wikipedia running and we were able to actually produce content that we get picked up by the search engines and so forth. We really realize that if you make good quality content that people will come, so we just kept focused on that. Andrew: It was coverage on places like Slashdot, was it also you going into the communities that you were already a member of and talking to them? Jimmy: To some extent, maybe, but I wouldn’t call that a major factor, no. Because just the nature of what we were doing we were looking for a particular community or rather they were looking for us, so yeah, it wasn’t so much that. Andrew: Jimmy, I’ve done several interviews with entrepreneurs who told me that when the product was right online it just hit and took off and when the product was wrong they could spend years trying to get people to care about it and no one would care about it. In your experience with Wikipedia specifically, do you see that? Jimmy: Definitely. If you’re not going in the right direction or if you’ve got something people don’t care about then working on tweaking it I don’t think does a whole lot of good. Sometimes you just have to question fundamental assumptions. On the other hand you have to say that very much attention to detail in the customer experience is really important. You can change the growth rate of something from one percent a month which is small online but in a normal business would get you somewhere eventually, but you can change it from one percent to five percent and really that’s a huge change just by paying attention to the details. Making sure everything is simple enough and easy enough to understand. Andrew: Do you have an example of how you did that with Wikipedia? How a small change gave you big results? Jimmy: Well, I’m not sure if I can because lots of small changes make lots of small results and they all add up, Things like ,in the early days I would play very carefully with the positioning of the link to edit this page and I made it significantly prominent in the early days, because at that time most people had never heard of the idea of being able to edit a page. Now, today people understand that we can do that so that link is a little smaller than it used to be. At that time we really had to tell people, look, you can edit this page, you can change it, and that was a big deal. Andrew: When people edit a page do they want to promote the site more because they feel that they’ve helped create it that they’re a part of it, does that help with growth? Jimmy: I absolutely think so. Yeah. Lots of people like Wikipedia. They use it and they read it, but once they click on edit they really have a bit of affinity for the site. They become involved in some way. Andrew: So you get people involved, you start building a community around it. I read that you were up nights in the early days worried about vandalism, worried about bad information on the site, how did you in the early days, how did you deal with that? Jimmy: Well I would just get up two or three times a night and check and make sure no one had destroyed anything. Part of that was actually realistic because in the early days there wasn’t a large enough community to ensure that somebody would be there if a vandal came and started wrecking everything. After a pretty short period of time it was clear that somebody would be around pretty much anytime day or night therefore I didn’t have to panic so much. Andrew: What did you do to ensure that somebody would be there? Was it because of something you did or was it just because of so many users on the site. Jimmy: Just lots of users on the site. There was nothing in particular I had to do. Andrew: At what point did you decide okay, Wikipedia is the future, Newpedia just isn’t going to work. Jimmy: Oh, almost instantly, I would say within two weeks. We got more work done in two weeks than what we had done in two years, so it was pretty clear that this was the way this was going to have to work. Andrew: It seems like the site just took off right from the beginning. Were there any setbacks? Were there any situations where we can see you had to overcome a big problem? Jimmy: Well, it took off very quickly, you know, the growth rate of Wikipedia was long and steady, it was really just doubling in traffic every 3-4 months; which is not as fast as some of the big internet hits, I mean, I think Facebook and its peak of growth was drawing faster than that, but it was steady, always steady, always steady, and so it’s really hard to identify any particular thing. There are many different things, you know, times when we faced crisis and challenges, you know. There was a very famous incident where we had an error on the site and it lasted for 4 months without anybody noticing it. It was a very serious error about a journalist, and he wrote a very scathing editorial against Wikipedia and got us a huge amount of press coverage, negative press coverage at the time, which was a very difficult time for us. On the other hand, you know our traffic tripled, that was one of the quarters where our traffic was growing even faster than normal, because of all the attention, so it wasn’t all bad, but that’s not the way you want to get attention, that’s for sure. Andrew: I read a book about Michael O’Leary, who built up Ryanair, and his philosophy was if he could get in a press for anything, even if it was bad news, even if it was a story about how dangerous his flights and airline could be, more people would buy tickets. So, is it that all news is good news because you’re starting to build a business because you need some attention and the business can undo any negative? Jimmy: I think that’s true to some extent, but I think it doesn’t suggest that you should try to get bad news about yourself, you know? It’s really something that we can tell ourselves, reassure ourselves, that when something goes horribly wrong and we accidentally get press coverage for something that was a mistake we made or something bad that happened, we can tell ourselves, “Well, OK, we’ve got to correct the mistake, we’ve got to make things right, but at the end of the day hopefully we can be stronger, at the end of this. And if nothing else at least people have heard of us and they hate us, but at least they’ve heard of us,” and then I have to work on changing their minds. Andrew: What was the mechanism that you used to speak back to the media? Jimmy: I’m sorry. Could you repeat the question? Andrew: How did speak back to the media? If they had a story about how Wikipedia was full of errors, if they had a story about an issue over here or about a flame war over there. Did you have a way to get back to them? You didn’t have a P.R. machine, you guys were free. So, how were you able to do it? Jimmy: Well, I mean, I just made myself very accessible to the press and we really always hit on, you know we hit on a strategy very early on of being completely realistic and humble about our work, and so we wouldn’t try to spin the story and say how great Wikipedia is. We would just acknowledge the errors and say, “Well, we’re a work in progress and you should always be very careful when using Wikipedia, sometimes it’s wrong. But we’re a great community and we’re really working to do something interesting and great,” and focus on those kinds of things, and that helps a lot, I think. Andrew: Do you have an example of a revolt in the community? Jimmy: A revolt in the community? Andrew: Yeah. It seems like all strong communities have a period where there’s somebody who within the community, fights the community manager, or somebody within the community says, “why should we even be here at all?” Or somebody within the community tries to take over and lead them in the wrong direction. Jimmy: Well I mean, I guess I could answer that by saying we have never had that or we have always had that. I can’t pretend that there aren’t always people sort of rebel rousing and discussing this and that, often hypothetically, or sometimes somebody gets angry or whatever. We’ve never had a really major issue, just, you know, lots of things happen and, but it’s, look one way to think about that is to say, you know think about the things that go on in, say, the United States in the last 100 years, leave out the Civil War because that was an actual, you know, but you know there’s always something going on, there’s always lots of blah-blah-blah and talk, and opinions change and some people are more influential than others and so-on, so-forth. But there’s not really a question of over throwing the whole system, you know, it’s more a matter of working within the system. Andrew: All right. Why did you decide to go free? Jimmy: Well, we chose the free licensing model or open source licensing model really from the beginning. That was really part of the original vision. That was the whole point of the project in many ways because with a freely licensed encyclopedia, people can take and modify and adapt and use it for whatever they want. It’s really all about providing a core research tool for people that they can then adapt and use for whatever they want. I can’t say there was ever a decision process about it. It was so core to the original concept that there wasn’t even a question about it. Andrew: A lot of articles say that you are an Objectivist, a follower of Ayn Rand’s philosophy. How much of her philosophy do you really believe in? How much of her philosophy is true for you? Jimmy: All of it. That’s a very complex question if you go any deeper than that. Obviously, I have my own views and interpretations as an independent thinker of what things mean and so forth. There are some things that I would not consider to be part of her philosophy, which I definitely don’t agree with. But yeah, pretty much, that’s my worldview. Andrew: I’ve got a copy here of Ayn Rand’s Atlas Shrugged and in the utopia where the capitalists disappear to because they don’t like where the country’s going, they charge each other for everything. If a friend wants to use another friend’s car, he has to pay him, I think it was a quarter. If you want to bum a cigarette off of a pal, you give him money for that. So it’s a world where people keep paying. How does that square with Wikipedia and lots of sites online where we’re asking people to do things for free? Jimmy: I don’t think you can take the view that the Gulch is her view of the ideal society. That’s not the point of what that is. That’s a group of friends who have come together after this sort of long process in which the entire economy collapses and self-destructs. This is something they do as a symbolic thing, as an artistic gesture. In other words, to say to each other after they’ve been through this sort of horrible episode of the country collapsing in a very . . . it’s sort of a portrayal of this traditional, old-fashioned Communism takeover and suddenly this very impressive regime is coming into play. They said to each other, we’re going to treat each other as traders. We don’t assume anything. We’re going to give value for value. Of course, Ayn Rand would never advocate that friends or whoever should give each other money for dinner or things like that. That’s just silly. The idea that somehow if you believe in free markets, that you should also be opposed to charity, opposed to benevolence and helping each other out is really a very mistaken view. Andrew: We’re asking people to do things for free. Why are they even bothering to do it? Why is somebody bothering to edit a Wikipedia page or bothering to submit to something to Digg or bothering to be a part of any of these online communities that we’re building? Or user-generated content- based communities? Jimmy: In the case of Wikipedia, we can’t avoid looking at the big picture vision and recognizing that people think that this is a worthwhile project. It’s something that’s just big picture, worth doing and that should exist in the world and that people enjoy helping to make that happen. But there’s also, and that doesn’t apply necessarily to some of the other sites out there, Digg or YouTube, people don’t really have that sort of big picture, humanitarian impulse. Some do, actually, but that’s not the main thing, I think. But also for all of these projects, I think you have to recognize that people find it fun. One of the terms that I really hate is crowdsourcing. The idea of crowdsourcing is that you’re somehow going to get people to do work for free. That’s just silly. That completely misunderstands what people are doing. If you think that people are willing to work for free, you’re really confused. Instead, what the people do for free, they have fun for free. They do stuff they find entertaining. That can be intellectually entertaining, it can be a feeling of warmth towards the community, hanging out with your friends. There’s lots and lots of things that people do for free. I always say if we imagine all of these places as being something similar to a bowling alley, this is a bowling alley where sometimes there are tournaments and sometimes people get paid one million dollars to bowl. What are all these other people doing bowling for free? They’re silly, right? Well no, actually, they’re not silly. They’re having fun bowling and that’s something they like to do. We don’t think of that as, wow, you’re a sucker. That guy gets paid a million dollars a year to bowl and you’re doing it for free. Andrew: Wow. I love that analogy, by the way. That really clears it up for me. OK. You built this great business, or at least it’s not a business. Can you walk us through the thought process that helped you take it from being a business to a nonprofit? Jimmy: Yeah. Well, it was really simple. Basically, the dot-com economy had completely collapsed. I had been paying for everything. There was no obvious business model at that point. I just realized that it made sense to do it as a nonprofit. (?) volunteers were really interested in, I think, in being in a nonprofit. Then if you just think about, for me, what the cultural impact and the meaning of Wikipedia is, it just makes perfect sense to have it as a nonprofit. I mean, we’re a humanitarian product to spread neutral knowledge around the world. We can make our decisions based on quality rather than based on quarterly results and so that’s really where we’re focused. Andrew: How would Wikipedia be today? How different would it be if it wasn’t a nonprofit? Jimmy: I think that’s an almost impossible question to answer, really. I think there’s so many different paths that could have been taken that it’s really hard to know. I assume it would be different in some ways, but I’m just not sure how. Andrew: But at the time when you were at the fork in the road and you had to decide whether to keep it for profit and keep ownership of it or keep it nonprofit and essentially turn it over to the world, you saw two different visions of how Wikipedia could end up. What was the vision for the for profit version? Jimmy: I think that I didn’t have two different visions. I just was trying to get my work done. I just really don’t think of things in those kinds of terms. I always say I’m a carpenter, not an architect. What I mean by that is yes, I make long term plans, but mostly I’m just looking to see, I have something I want to create. How can I create it and what do I need to do today to move the thing forward somehow? It’s not like there were two separate competing visions that I knew a priori what would happen in the end and I chose between those two. It was more just an organic process of figuring out what to do every day. Andrew: Did you feel if it was a nonprofit, more people would contribute, the contributions would be more meaningful? Did you feel that the site would just keep getting better and better on a day to day basis if you made it nonprofit? Jimmy: Well, I think that there was a thinking that there would be some of that as a factor, but it’s not like I thought it wouldn’t work as a for profit. I think it’s a very complicated question, I suppose I should say. Andrew: All right. Let’s talk about something you just said a second ago, which is that you don’t make long term plans. I hear that over and over from entrepreneurs, that they don’t sit down and . . .
Jimmy: Actually, I said I do make long term plans. Andrew: You do make long term plans. Andrew: So what are your long term plans like? How do you . . .
Jimmy: For example, at Wikia, my for profit company, we’re building the rest of the library. We have a long term strategy of improving the software to make it easier for more people to contribute in particular ways because we know particular audiences who are not really able to use the Wiki to build what they want to build because the software’s too geeky. That’s an example of very long term planning and a project with a vision in mind at the end of what it will look like. Of course, you can’t be stupid about a long-term plan, you have to sort of assess everyday whether it’s still realistic and whether it’s still the best use of everybody’s time, but I’m a big fan of thinking long term. Jimmy: It’s really just constant conversations with people. It’s really just all a long series of discussion and debate and sort of getting consensus on a vision and moving that direction. Andrew: So where did those early conversations happen for Wikia, the ones that shaped the vision? Jimmy: Well, so, Angela and I founded Wikia and we had emails back and forth thinking about what this could look like and what are the kinds of issues that could work and how could we go about billing this and things like that, but really it’s an ongoing process. There’s no separate process for us. Maybe once we get to be a big company then I know a lot of these things get solidified into procedures and strategic planning initiative and things like that, and that’s a good thing at some point. In the early days I think it’s just, you just have to wing it basically but you have to talk about it and be thinking long term every day. Andrew: Search. That was going to be the site. Wikisearch was going to take over Google, people were excited about it in the market, it didn’t happen. Can you talk about what it looked like on the inside for you before you made the decision to close it. Jimmy: Yeah, I mean basically we were pleased with the progress, pleased with the software, pleased with the growing community but we had to make the very difficult decision last fall and in the spring to basically, we’re looking at the economy collapsing, we are looking at very frightened projections, looking at cutbacks everywhere, and we’re looking at how much money we have in the bank, how long of a runway do we have. What’s the market going to look like raising more capital and we realize that a lot of the thinking we’ve had originally about the (?) we needed to get to, to raise more capital now shifted on us. It was going to be very difficult to raise more capital. In fact, if ad revenues were going to end up as bad as some people were thinking, we really needed to pull back to defend the core business which is much bigger or was much bigger. So it was a difficult decision based on the economy to put the project on ice, and don’t get me started on bankers taking bonuses after crashing the economy because I get really upset about it. So, yeah, that was a tough decision. But it really wasn’t about anything internal to the project. That was going perfectly well. Just we had the idea that we could get started, it would become a certain level of popularity, we could raise more money and that just wasn’t going to happen. Andrew: Did you consider turning it over to the community the way you did with Wikipedia? Jimmy: Yeah, it just really wasn’t possible. We only had a few developers on it anyway. It wasn’t really, I mean it is turned over to the community in some sense. The software is all freely available so you can go download it and anyone who wants to can pick up where we left off, but it was hard for us, and this is one of the challenges in a search project, basically you have to keep the servers up and running, you have to have somebody managing data bases and those were all the costs that we couldn’t justify anymore. Andrew: What did you learn from growing Wikipedia that you are now carrying over to Wikea. Jimmy: I think the main thing is we have learned to trust the community so we have you know, really tens of thousands of communities that have been launched at Wikia growing all the time and we don’t know what most of them are up to but we trust them and we give the tools they need to put into practice the vision that they have, whatever it might be. Know that we don’t really have to be monitoring every single thing they do and so forth. Andrew: It’s still stuff to edit a page both on Wikia and on Wikipedia. It’s not impossible. I can do it. I can figure it out, but it’s not as easy as even WordPress. Why is that? Jimmy: Well, so part of it is changing very, very quickly at Wikia, so we just implemented WYSIWYG rather than roll out throughout the whole site, for new wiki for some old wikis we haven’t converted them yet so the prior users, they have certain concerns so we have to deal with those. What I think, realistically what we can say is what we were trapped in for a long time was a really classic technology trap, in that, we had the software that does a very, very good job of what it does. It really optimized for the existing user base and we really learned all these details about it. They need all those details, they can’t live without them and yea we needed to move forward and make it easier to use for other people but we have make it easier to use for other people without breaking, leave the old stuff. so we had this huge backward compatibility issue where it’s really important that the power users can still function the same way that they always did, but that were more welcoming to new users and that’s a tough problem and that’s one that been faced by you know, lots and lots of different pieces of software over the years and it just takes time to work through it and so now, you know we are now rolling out this week of editing its becoming more popular among the power users which is what I’m excited about. But even today, it doesn’t do everything that the power users need so that’s like an ongoing process to identify the stuff where people bump up against a barrier and they say wow! like, it’s really hard to do this thing that I used to do really easily so I’m going back to the old system and then to find that and say ok look we have to solve that problem for them so it just takes time. Andrew: So you couldn’t just put a WYSIWYG editor on top of the current editor? And let people disable it if they wanted to? Jimmy: That’s basically the way that we are going but the problem we had is that you have to have absolute 100 percent compatibility, like the two editors editing the same data if they save something in a slightly different way and it messes up the other one it’s just a disaster, so getting that round tripping where you can go from the raw wikitext which is what the traditionally edited in, to the WYSIWYG and back to raw wikitext 100 percent perfectly was really the key part of the whole thing and even then there was certain things like templates which are kind of hard to do in the WYSIWYG editor there was a lot of UI design issues and things like that. How do you make a WYSIWYG for a template which is a bit of a programming essential and so while dealing with that took a while to figure out as well. Andrew: Do you think it helped that it was so tough to edit that it kept out people who weren’t really committed to contributing to the project? Jimmy: No, I don’t think so at all. I think that’s a something that people joke about sometimes but, I don’t think that anyone actually believes that its always been unfortunate that really good people who want to get involved can’t get involved. There’s an idea that you’ll sometimes get from programmer’s that think that anybody who is not a programmer is dumb but, not many people really believe that. I think that most people understand something being technically challenging is not a very good filter for good heartedness and (??) and commitment it’s a just a barrier for no good reason. Andrew: And so in preparation for this call I did a bunch of research on you and I found out so much about you. I mean a lot of your life the good bad everything is out there in the open what’s it like to have all this stuff that most of us love having private to have it be talked about, debated about endlessly? Jimmy: It’s completely horrifying horrible. I don’t like it at all. It’s not just the good and the bad, it’s the good and the bad stuff that people made up from scratch, so it’s funny because I’m not really famous but, I realize that because of the changes that have come about because of the internet in certain real ways my life is like the life of a real celebrity and so, I suddenly find myself with great sympathy for actual celebrities to have to deal with this in a really intense way and you can just imagine, you know, I worry if I’m in San Francisco who I am at dinner with because I don’t know who is going to see me and twitter something completely ridiculous but, actual celebrities have to deal with that every day of their lives I think it’s really rather a sad thing. Andrew: And anyone else who’s got a big a site as you can edit the information about themselves out of it. I heard a similar situation, not a similar situation but Google had a situation where CNet revealed some information about their people and they stopped talking to CNet but you can’t do that. You can’t say all right, I don’t like anyone who says anything negative about me on Wikipedia, I’m knocking them off the system. Jimmy: Yeah, but those are really different things and I actually think that Google is in a very similar situation in that sense. They’re definitely so called ? that I refuse to speak to because they completely have zero concern for the truth and there’s no reason to justify them in any way. Jimmy: And at the same time. Huh? Jimmy: Ha. You could guess. If for example I got mad at CNet, which I’ve never gotten mad at CNet, I like CNet, but I could stop talking to CNet just the same as Google could stop talking to them. And what Google can’t do and what I can’t do is kind of the same. Google didn’t and couldn’t realistically say we’re not talking to CNet for a year and we’re deleting them from all Google ranking for a year. If they did that, it would destroy their brand image, people would be outraged, it would be a huge stampede of rush to some other provider, so if anybody writes anything bad about Google they have to leave it in the Google search engine, you can find it, you know? So those are very similar. I mean this is part of the change. There’s nobody who can really control the content of their site in the way they might of thought that newspaper control the content of their publication fifty years ago. Andrew: OK. I saw on your twitter account that you said I’m really proud of Wikipedians who made this happen, maybe saved his life, and you’re talking about David Rhode who was kidnapped and the editors on Wikipedia kept all information about his kidnapping off of Wikipedia because they didn’t want to endanger his life. Was that a tough to decision to say that there’s some news stories out there, they’re people who are trying to contribute them to Wikipedia, we’ve got to keep it off because it will endanger this guys life? Andrew: Was it a tough decision to say that you’re going to keep information off Wikipedia? The New York Times says that a lot of that decision came from you. Jimmy: Yeah, it was a very, very easy decision because it really, in this case, we were fortunate because in order to make this happen all we had to do was to enforce the already existing policies of Wikipedia. The things that were being posted were not reliable sources and were not, it was basically random speculation and in a biography of a living person we have very strict sourcing requirements, so that made it super easy to basically say, look, what we’re going to do is we’re going to enforce policy here and we’re going to be very diligent about it. So that made it very easy. If the story had been different and if the story had been published in lots of different newspapers and other sources and every body was talking about it and the New York Times asked us to remove it from Wikipedia we would have to say that’s impossible. The story is out, there’s reliable sources, there’s really nothing we can do about it. So, in this case it just worked out very well but it was not a difficult matter. Andrew: I see here in the article that there was a Afghan news agency report on it. Was it that it just wasn’t online and so the editor’s couldn’t link to that Afghan news story and that’s why it couldn’t make it into Wikipedia. Jimmy: No, it was online, at least part of the time. I think it was taken down at some point, I’m not clear on all the details. It was online but it was a source that we didn’t know much about and it wasn’t being corroborated by anybody else. So, I knew behind the scenes but I’m not a news source and I’m not going to publish my personal knowledge as being something we should have on Wikipedia. So whenever we have that kind of situation where we have a report of something from a very difficult area where it’s really hard to get good news out and it’s not being corroborated by other sources then we tend to downplay and say well if that were true it would be repeated elsewhere. So that’s sort of the standard. This kind of issue comes up all the time. There’s some report from some news service that may or may not be a credible news service, or maybe it is, and it seems plausible at first, but then nobody else is confirming it so what do you do with that? We have to make editorial judgment calls all the time about things like that. Andrew: OK. And just a couple more questions. The first is, you’ve know built a business that’s going to leave a legacy, it’s changing education forever, what have you learned about business? Do you have now some rules that you follow by that you have to make long term goals, for example? That you have to be this way or that you need to be that way, is there anything that you can leave others with? Jimmy: Well, I think for me it’s really very fundamental, very basic. It’s about thinking first about the product, thinking about what a customer or a user, what do they need, what are the problems that they face, how can you solve that where this applies? Internet contacts it applies to the end user or the sense of the reader, it applies to the participants if it’s a web 2.0 participatory thing. You just have to think about each participant, what are they here for, what are they getting out of it, how can we align everybody’s interest and make something that’s really great for everybody. And then you think about the business part of things later. You can’t be a crazy (?) and say I want to do crazy stuff and say we don’t care about revenue; you eventually have to care about it. But at the same time if you’re making a great product and you can do something that’s really popular, there’ll be plenty of ways to get revenue to cover it. You just don’t worry about that at the onset. Andrew: And that’s different from the way the world used to work because you could’ve said the same thing about toothpaste. If you create the toothpaste somebody will buy it, but the truth is nobody would even know about it. You’d have to get it on the shelves, you’d have to get the distribution, you’d have to get the advertising, but online your saying if you do build a good product the world will eventually find you, if your satisfying people’s needs the business will come. Jimmy: Yeah, again I’m not sure I’m saying that. I’m saying its business is exactly the same as business used to be and all of the same principles apply today. So, to maybe give a little slower expression of that, I was speaking of an existing business and how do you keep improving, but yes the key component of any business is promotion, marketing, letting people know about it, finding the right partners, it’s all the same thing as creating a great toothpaste 60 years ago. There really is nothing at all that’s changed, there’s nothing doing business at all. Andrew: Ray Kroc, for example, didn’t have the luxury of saying if I build the best burger, if I focus on what people want then the business will grow, he had to say to himself what business am I in. Well, how does real estate play a part in this, how does advertising play a part in this? He couldn’t say if I build this burger the business, the revenue, the profits will come in. He had to think about that earlier didn’t he? Jimmy: No, I don’t think so. I think if he deviated at all, and I’m not a big fan of McDonalds, but let’s just say they have traditionally focused very, very strongly on end to end consumer experience. What does it mean to be at McDonalds, what do you get when you are there, and if you don’t have that core product that maybe you and I aren’t fans and maybe it’s not our product, but you have to admit people do love it. I do like the french fries by the way, they are fabulous. Without the kind of focus on meeting consumer needs then all the rest of it doesn’t happen at all. Later on when you start to get successful you start to think about, a part of our business is actually a real estate play, because we have to get the best locations for our stores is the real estate component of our business. We need the best locations for the stores are partly all about that end to end consumer experience. It’s like, when are the people going to need a cheeseburger, well they’re going to be at a certain spot at a certain time driving down the interstate or whatever, I’m not an expert in fast food locations, but it’s all about focusing on that consumer experience. Otherwise if you just say oh its real estate, let’s just go buy some good real estate, that doesn’t make any sense you’re not a real estate company that’s a whole other business. I really do think there’s something that gets lost if we think too much that everything has changed. We’re still human beings, it’s still about making stuff that people like, that they want to use and those fundamentals haven’t changed at all. Now, I don’t want to sound to ridiculous in this point, obviously some of the things have changed. The speed of word or mouth marketing is dramatically higher than it was when Ray Kroc started McDonalds. McDonald’s would move into an area, and became famous over a very long period of time. You can build a brand so much faster than ever before, simply because the communications amongst people are so much faster than ever before. I think this applies not just to Internet companies, but actually to any kind of company that has a story to tell. A story can be told and repeated much more quickly, on a word-of-mouth basis, than ever before. I think that’s an important shift. Andrew: OK. Finally, what’s your legacy? What are you hoping it becomes? Jimmy: Well, my dream, really, is about that there will exist a free encyclopedia for every single person on the planet in their own language. So I’m really focused a lot on the growth of Wikipedia in the developing world. Trying to promote that, trying to support that, trying to think about how we can extend that. Because, you know, right now, there’s about a billion people online, and pretty soon there’s going to be two, three, four billion people online. As they come online, they’re going to want their own Wikipedia, they want their own tools, they want to make sure everything works for them, and so we want to be there for that. And as, you know, if we manage to do that so that, you know, somebody speaking, you know, pick your language anywhere around the world has a good, high-quality encyclopedia that they can access for free, then that’s fabulous. Andrew: Thank you very much. Thanks for doing this interview with me. Jimmy: Sure. It was fun. Thanks. And there it is. Now the program is over. As always, three suggestions. #1, come back to Mixergy and give me your feedback. Tell me what you thought of this program. Tell us what we missed. Teach me what you think I should know about Wikipedia. #2, check out Wikia, Jimmy Wales’ latest project. I’ll give you a link to it on mixergy.com, but of course you can just go to wikia.com directly. 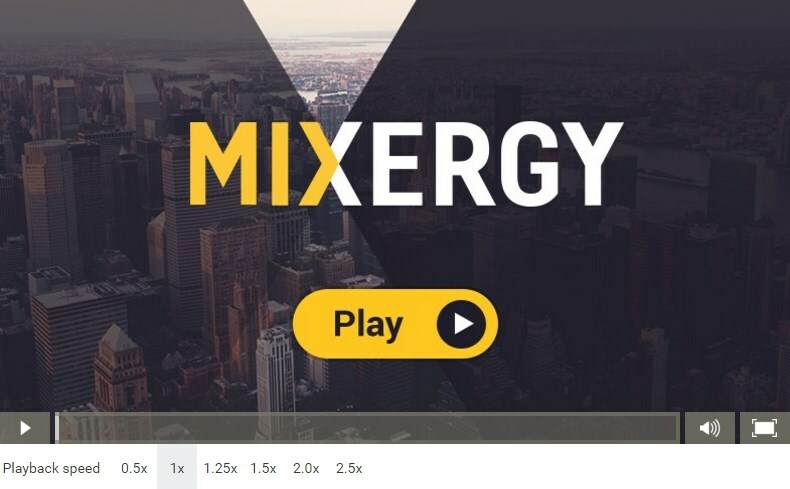 And finally, click around mixergy.com. I think we’ve got the best mix of teachers, because the people who teach on Mixergy have real experience, and what they’re teaching you is their experience, what they’ve learned being in business day-to-day. Thank you for watching. I’m Andrew Warner. I’ll see you in the comments. I was looking at the growth of the free software movement and I was seeing how communities of programmers were coming together online to create software. So it wasn’t so much about wanting the end result (the encyclopedia) to be different, although the end result is quite different, but more about realizing that were was a new model for collaboration going on online and that there would be a lot of cool stuff that should go along with that. The best businesses are not cooked up by MBA’s with reams of data and business plans. That’s never been true. The best businesses are meeting the needs of the customer in an innovative way. It really was more about seeing an opportunity and an idea and knowing it needs to be done, and that’s what I think really makes something work. There’s nothing wrong with thinking about the market need and so forth. I’m just saying that shouldn’t be the primary. Because if it is the primary you end up with a very tedious, uninspiring business that tends to not to go anywhere. The original concept of Nupedia was to create a free encyclopedia written by volunteers — you know, people from all over the internet. So the same vision as Wikipedia, but we didn’t have a understanding of the social model needed to create Wikipedia. Basically, it was a very top down system: a seven stage review process; people had to submit their proposals for what they were going to write and so on and so forth. As a result it was a very slow and not much fun system for people, and so it failed because it didn’t meet the need of the people who wanted to help with the project. There was a large community that we brought together who spent a lot of time talking about what it means to build an encyclopedia. What should be in it, what it should be like, what kind of technology we should use. So although I say that Nupedia failed, in another sense it obviously didn’t fail. I mean it was a group of people who got together and for two years we talked about how to make an encyclopedia before we actually managed to get started. I was incredibly passionate about the concept. The idea that we could create a free encyclopedia for everybody — as a humanitarian goal and as a concept of the purpose of what the internet it for — really seized hold of me and really I just decided to make it my life’s work in one way or another. So there was doubt but never any serious question of, of quitting, it was a question of what do we change to make this happen. Because we had such a rigid system at Nupedia, it was really hard to change anything, and we didn’t have a lot of developers and so forth. So the only possible change was really to just over throw the whole thing and install the wiki software and go in a much more simple way. Because we came out of the open source software movement we really had a bit of a following from the beginning from software programmers and so forth. There’s a whole community of activists in that area. So we got a lot of early press coverage from slashdot, for example, which drove a lot of traffic to the site, got a lot of people excited and interested in the concept. So that was really the first thing. Beyond that it really just grew by word of mouth, you know and especially once we got Wikipedia running we were able to actually produce content that would get picked up by the search engines and so forth. You know we really realized that if you make good quality content then people will come and so we just kept focused on that. We can’t avoid looking at the big picture vision and recognizing that people think that this is a worthwhile project. It’s something that’s just big picture worth doing, and that should exist in the world and that people enjoy helping to make that happen. If you think people are willing to work for free, you’re really confused. Instead, what the people do for free is have fun. They do stuff they find entertaining. That can be intellectually entertaining, it can be a feeling of warmth towards the community, it can hanging out with friends. There’s lots and lots of things that people do for free. I always say that we can imagine it being something similar to a bowling alley — a bowling alley where sometimes there are tournaments, and sometimes people get paid a million dollars to bowl. So what are all these other people doing bowling for free? They must seem silly, right? Well no actually, they’re not silly. They’re having fun bowling, and that’s something that they like to do. And you don’t think of that as, “wow we’re suckers,” because some guy gets paid a million dollars a year to bowl. My dream really is that there will exist a free encyclopedia for every single person on the planet, in their own language. So I’m really focused a lot on the growth of Wikipedia in the developing world — trying to promote that, trying to support that, trying to think about how we can extend that. Because right now there are about a billion people online, and pretty soon there will be be 2-, 3-, 4-billion people online. As they come online they’re going to want their own Wikipedia, they’ll want their own tools, they’ll want to make sure everything works for them. So we want to be there for them. – How Jimmy Wales plans out his businesses. If he doesn’t use a business plan, what does he use? – See how & WHY people told their friends about Wikipedia. You can (and you SHOULD) use it in your business too. – Why Jimmy made Wikipedia into a non-profit. – What it was like inside the company when they decided to close Wikisearch, the search engine that some said might overtake Google. – A comparison of business as it’s done today, in Thomas Edison’s time and in Ray Kroc’s time. What’s different? What’s the same?